Geith tilt buckets angle up to 45 degrees in either direction, enabling operators to complete slope finishing, land clearing and grading with greater ease. 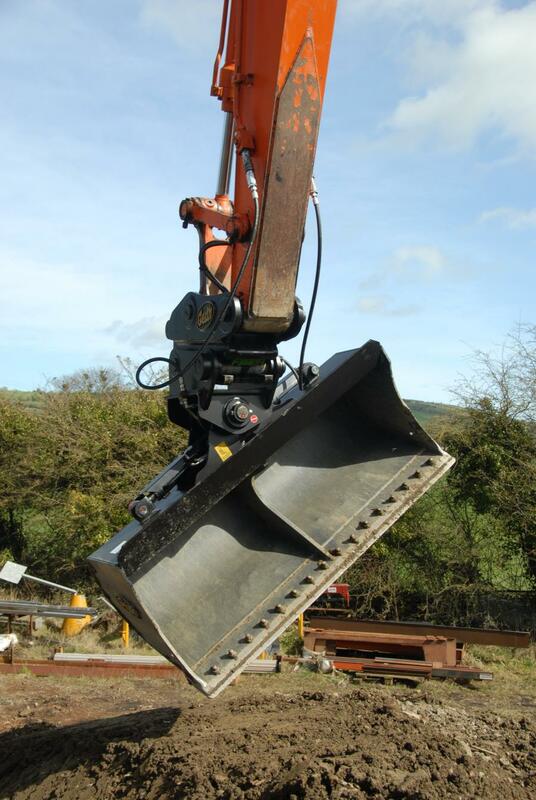 Available in a wide variety of sizes, Geith tilt buckets weigh between 388 and 2,039 lbs. (176 and 924.8 kg), with the largest model boasting a heaped capacity of 1-3/4 cu. yds. (1.3 cu m). Designed for use with excavators ranging in size from 3 to 30 tons (2.7 to 27.2 t), standard design features include a reversible bolt-on cutting edge, heavy-duty side cutters and wear pads. Corrosion-resistant high tensile pivot pins help safeguard tilt buckets against harmful wear patterns.